The country’s first public welfare fund that aims to protect children's legitimate rights and interests and provide legal assistance to children who have been violently and sexually abused was launched in Shanghai. 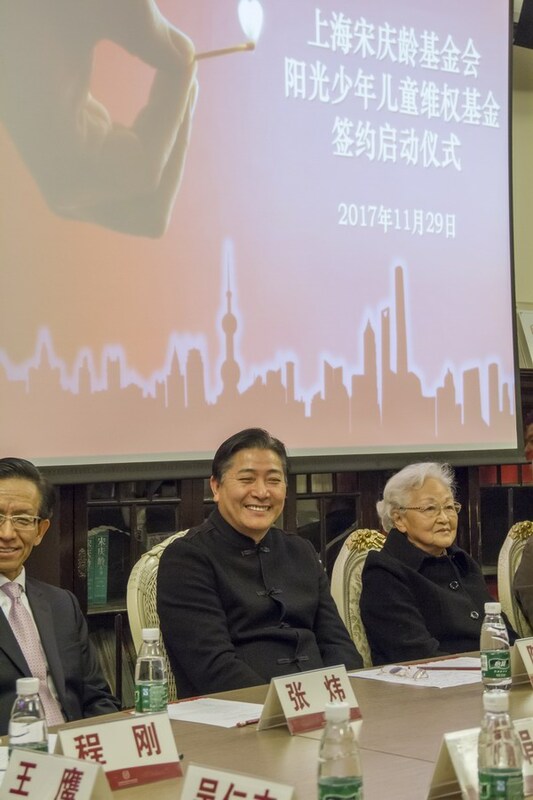 The launching ceremony of SSCLF – Sunshine Children's Legal Rights Safeguard Fund, initiated by Mr. Chen Naiwei, executive dean of Advanced Law College of Fudan University, senior law expert, was held in Shanghai Soong Ching Ling Foundation on the afternoon of November 29, 2017. Mr. Chen Naiwei has long been concerned about the situation of children's rights and interests in China, and according to the data he disclosed, the present proportion of Chinese children being sexually abused is staggering, with girls accounting for 9.5 percent and boys 8 percent, and about 25 million children nationwide have been subjected to varying degree of sexual assault. The recent spate of child abuse incidents on campus is a wake-up call to the community, and it is imperative to protect children's safety and health. More than 20 representatives from Shanghai Women's Federation, Children's Foundation and Youth Development Foundation, legal experts and scholars in academic circles witnessed the signing ceremony. 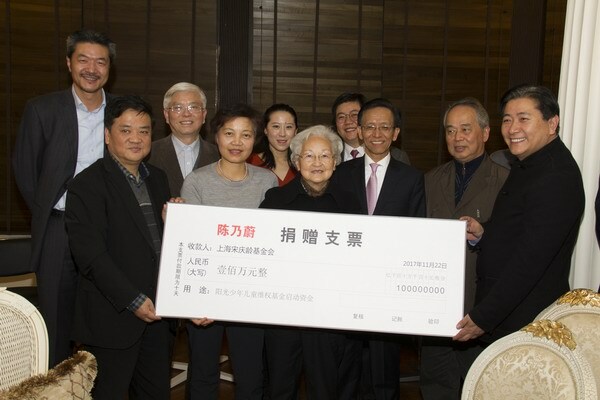 Everyone expressed great appreciation to Mr. Chen Naiwei for setting up the Children's Rights Safeguard Fund with 1 million yuan, and held a lively discussion on how to effectively operate the special fund. At the ceremony, the national advanced units for the protection of children's rights and interests, Changning district court and Qingpu district procuratorate respectively signed a strategic cooperation memorandum with SSCLF in the field of the Sunshine Children's Legal Rights Safeguard Public Welfare Fund to jointly carry forward the safety and security of young children, promote their physical and mental health development and established a long-term strategic partnership.